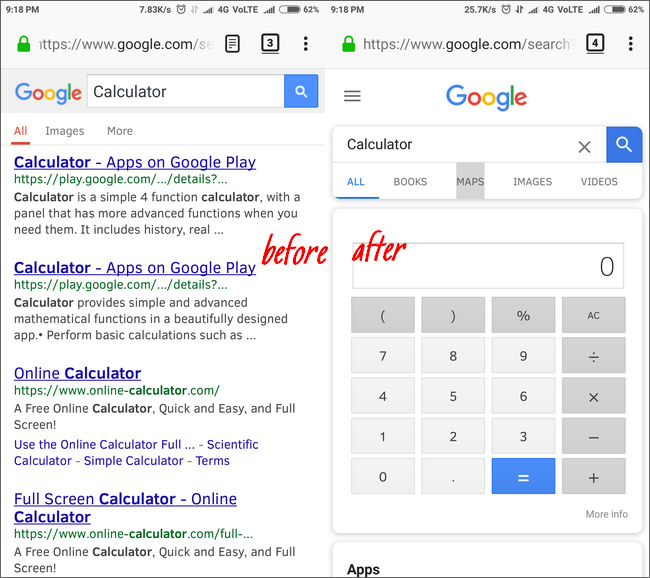 Google's search page degrade for Firefox on Android. Google's Web Search doesn't provide the same search experience to users of Firefox for Android as it does for Chrome. Many Google search features like the instant live sports score, temperature, search integrated tweets, are not shown, if you are searching from Firefox for Android. Here are some examples, what you miss on Google search result page when you use Firefox instead of Chrome on Android. Google does not do much to correct this or they may intentionally want to spoil your experience. 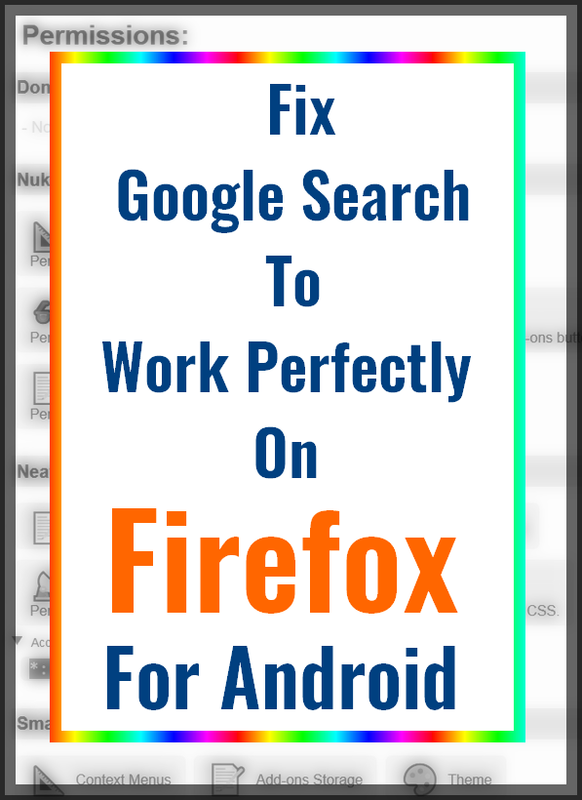 But if you are Firefox fan and hate Chrome for any reason, you can try this workaround to make the Firefox on Android to work exactly like Chrome. Addon for Firefox on Android changes the user agent. 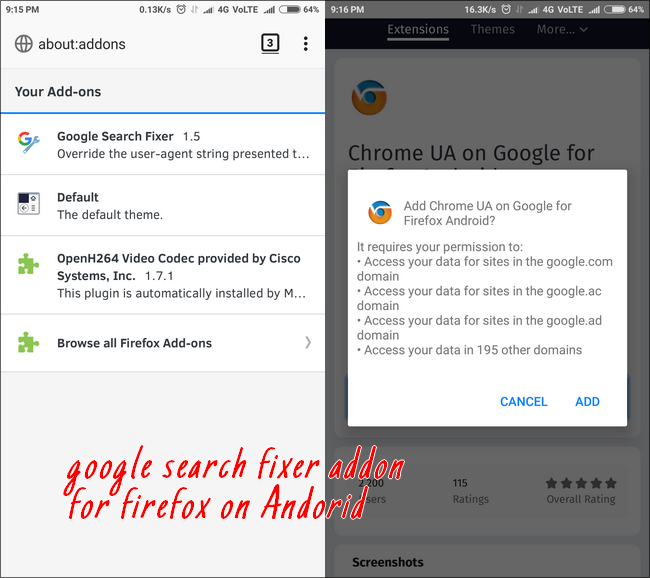 Google Search Fixer works by spoofing the relevant user-agent information so that Google Search sends the Chrome-specific page to Firefox for Android. The user agent of Firefox is changed to "LG Nexus" device, regardless of the of your device. As such it will appear that way on your Google "recently used devices" listings (https://myaccount.google.com/device-activity). This addon also works as good as Google Search fixer. But this Firefox add-on asks for unwanted permissions. The Google Search Fixer does not need any permission to access user data. But this add-on asks for access to data for sites in the Google domain. That is why Google Search Fixer is better than the Chrome UA on Google For Firefox Android. All other features work as good as Chrome. Surprisingly, the Firefox on iOS works as good as Chrome. Maybe Google treats Firefox users of iOS as first-class citizens and ignores Android Firefox users. The perfect Google Search page can be accessed by changing the user agent of Firefox to iOS, which this addon does. 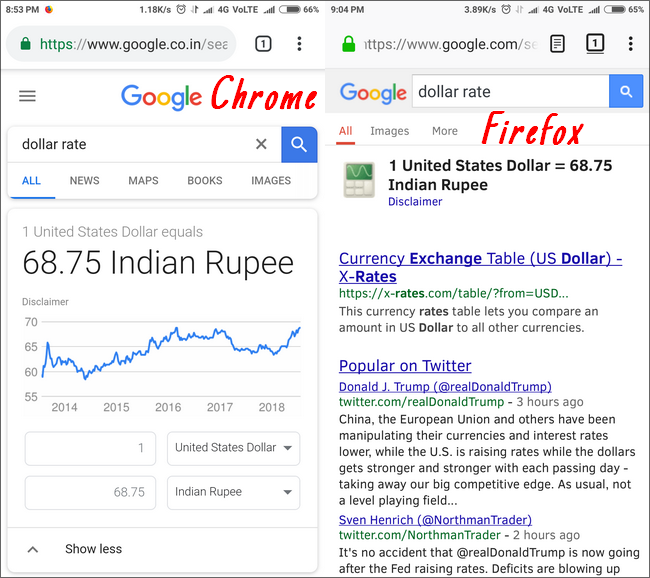 Do you use Firefox to search on Google? Or The Google App does all your things?